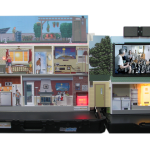 Using bright LED’s and panels lighting, flip illustrations, moveable 2D figures, guide your audience through an “inefficient” home and show how it can become smarter. You could even show advantages of conversion of oil furnace to heat pump and electricity domestic production through solar panels. The mini-computer & 18” monitor will also give you rapid access to real footage videos & computer animation to convey efficiently energy conservation facts &tips. 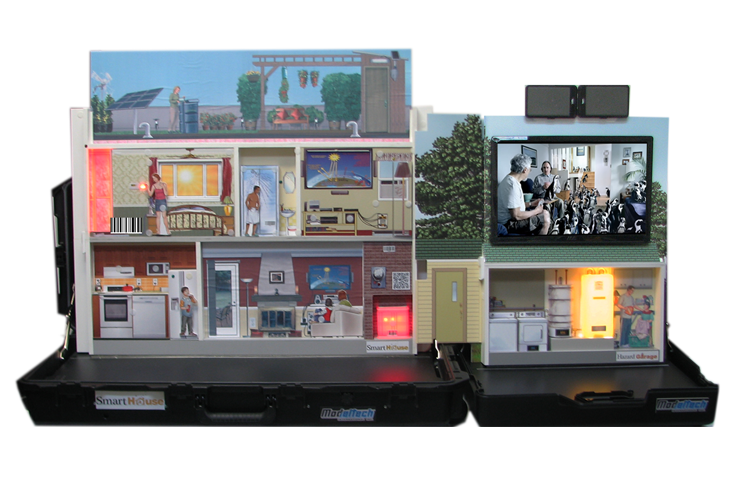 The Smart House energy conservation simulator fits into 2 handy carrying cases. One case can be even piggy back onto the larger one during transport. When you’re done, simply pack up and move on to your next destination! Topics included: insulation, heating and cooling, windows, appliances, lighting, water, phantom power reduction, meter and more. Realistic special effects: digital arc, sound animation, bright LED’S & panel lighting.